WHEN: April 5th, 2014 @ 10:00 AM. 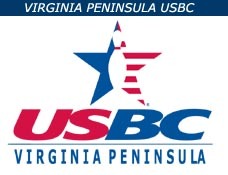 The Virginia Peninsula USBC Bowling Association will hold it’s annual Open Membership Meeting on April 5th, 2014 at Tabb Library at 10:00 A.M. all members of the Virginia Peninsula USBC Bowling Association are invited to attend. Interested in running for a Position on the Board of Directors? • Serving your fellow bowlers to build a strong Association ? • Willing to give your time and energy to provide excellent services to our association members? Please mark your calendars and plan to attended! There will also be a “White Elephant’ raffle of “Rare and Valuable” items for our charities and refreshments. This entry was posted in VPUSBC, VPUSBC NEWS on February 15, 2014 by Virginia Peninsula USBC.